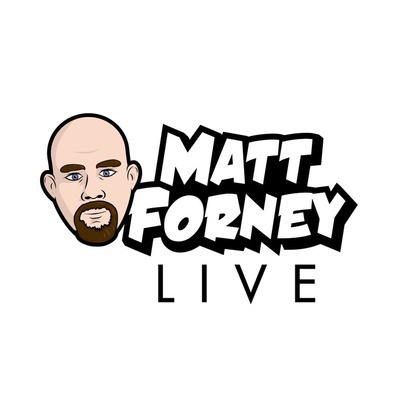 The Matt Forney Show is a podcast hosted by author and journalist Matt Forney, featuring his thoughts on the issues of the day. This page is also home to audio-only episodes of Matt Forney Live, a live show that airs every Wednesday and Saturday at 3PM Eastern/12N Pacific where Matt discusses the day's news and takes your calls. The show airs live on Matt's YouTube and Twitch channels. Matt Forney Live (3/13/2019): Disjunctive Junction, What's Trump's Dysfunction? Matt Forney Live (2/12/2019): Did Ann Sterzinger Try to Have Me Murdered/Jim Goad Try to Dox Me? Matt Forney Live (1/21/2019): Is the Free Folk a Cult? Matt Forney Live (12/14/2018): Don't Do it, Julian!